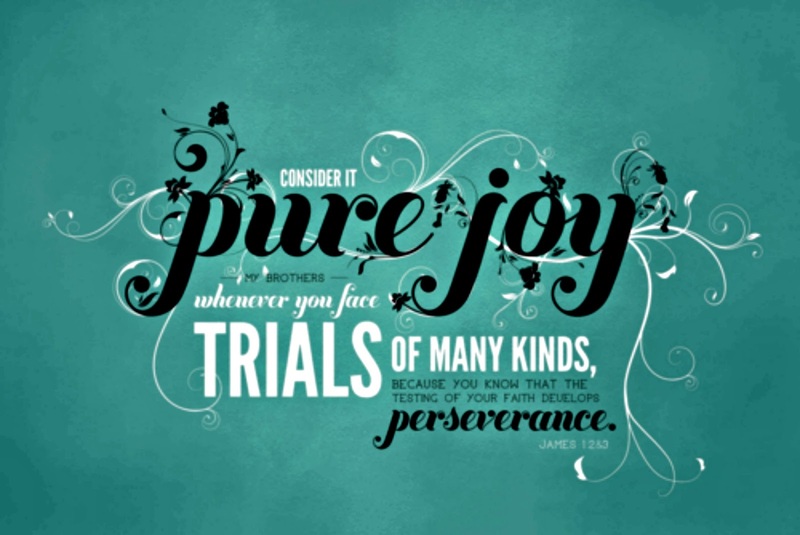 Count those Trials as Joy! “My brothers, count it all joy when you fall into various trials, knowing that the proving of your belief works endurance. And let endurance have a perfect work, so that you be perfect and complete, lacking in naught.” (James 1:2-4). So let’s talk about the ‘fall’ into various trials. Suppose we are looking for work and a friend, a neighbor, whomever says “I know a place that is hiring right now!” “They pay such and such”. You say give me the information, and because of your need seek out to find more details of the job, fill out the application and arrange for an interview. [Time elapsed], and once in, though excited about the chance to work start to notice somethings are just not right. Not only that, once you present your findings to management from then on you are on a black list of sorts. Everyday getting up to go to work is a burden, its painful and you are filled with despair. The good thing about the experience is that Yah has allowed the trial to test you. Not for your goodness you see, but to see if you will remain faithful and not give in to oppressive tactics. Ladies and gentlemen, it is never about us, but about Yah in us. If there is an attack they are attacking Yah’s Spirit. Be glad, because James says that the outcome is that we will lack nothing. Today: Feel better about it. You’re growing. Posted on July 14, 2014, in Children, Culture, Devotion, Encouragement, Family, Life, Marriage, Men, Ministry, Parents, Religion and Spirituality, spiritual, Women. Bookmark the permalink. Leave a comment.